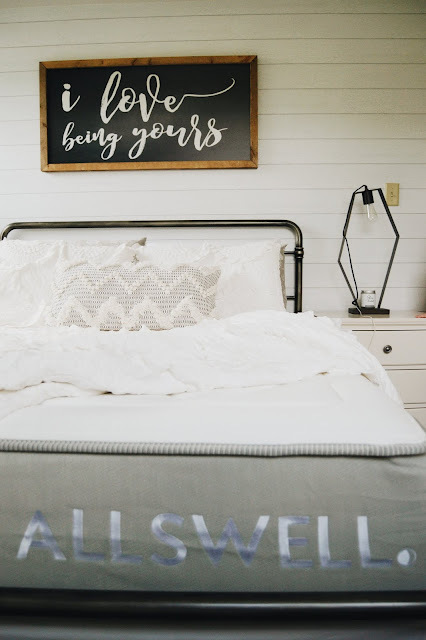 This post is in partnership with Allswell Home. I received products in exchange for this review, but all opinions are my own. As always, I only work with and share brands that we own and truly love. We've been slightly in love with memory foam mattresses ever since we spent a night at the Renaissance Hotel in Pittsburgh last year and slept on one. Like some of the best sleep ever. 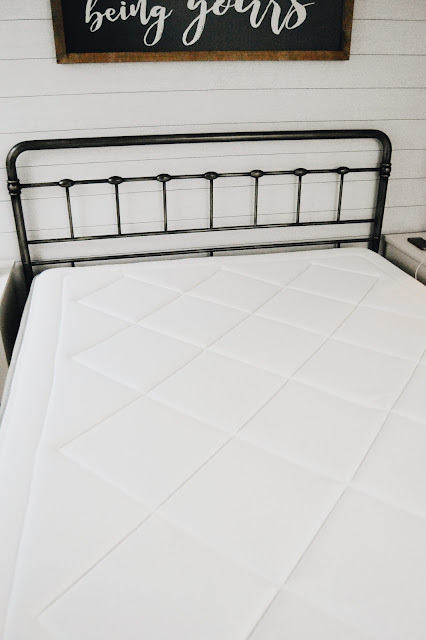 We had a traditional mattress until recently, and while it wasn't terrible, it also wasn't great, especially on our joints and muscles, hubby and I would wake up in the morning with back pain, shoulder pain and just generally achy... 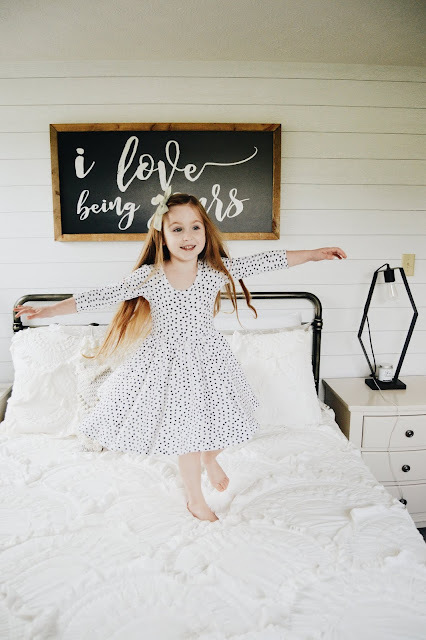 So soon after we found out I was expecting baby #2, and my back was killing me even more than it normally does, I knew something had to change or I wouldn't be able to walk by the time the baby was born. 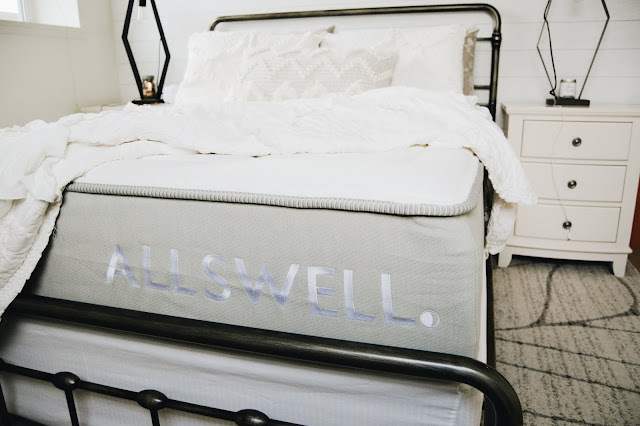 I actually found out about Allswell from the place I've discovered most of all my favorite brands these past 5 years... Instagram! I was immediately drawn to their mattresses because memory foam, duh. Also, they just looked like high quality beds compared to some of the memory foam mattresses I've seen floating around out there on the internet. 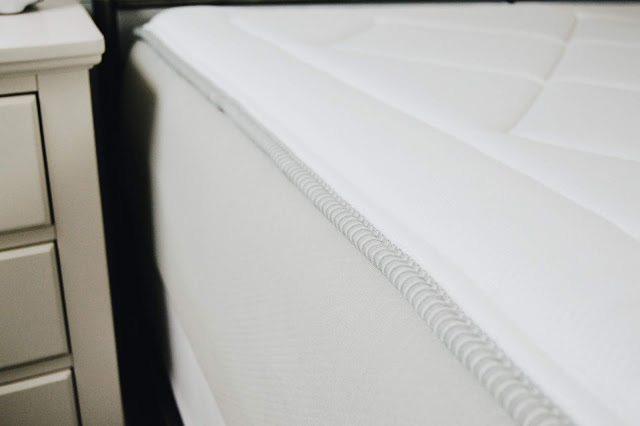 I loved the 12 inch height of the Allswell mattress (just call me the princess and the pea, the higher the bed, the better I like it), the built in plush top with it's performance memory foam woven in for breath-ability and the ultimate softness, and the cool factor, Allswell mattresses are encased in specialty fabric designed to feel cool to the touch and keep you from getting overheated while you sleep. One of the biggest reasons I loved their mattresses though was because of their ingredients! Allswell doesn't use any chemical deodorizers, and they try to use natural materials as much as they can. 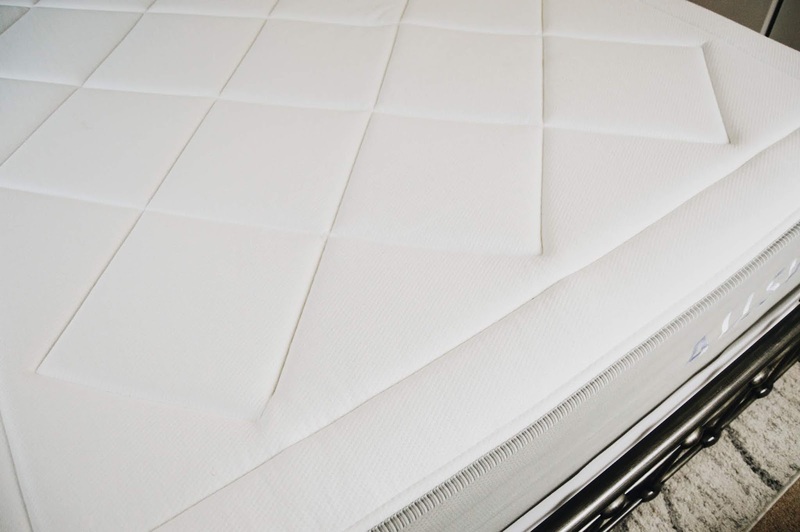 Their mattresses are CERTI-PUR certified, meaning that they contain none of the yucky ingredients like formaldehyde, phthalalates, lead, mercury and more! 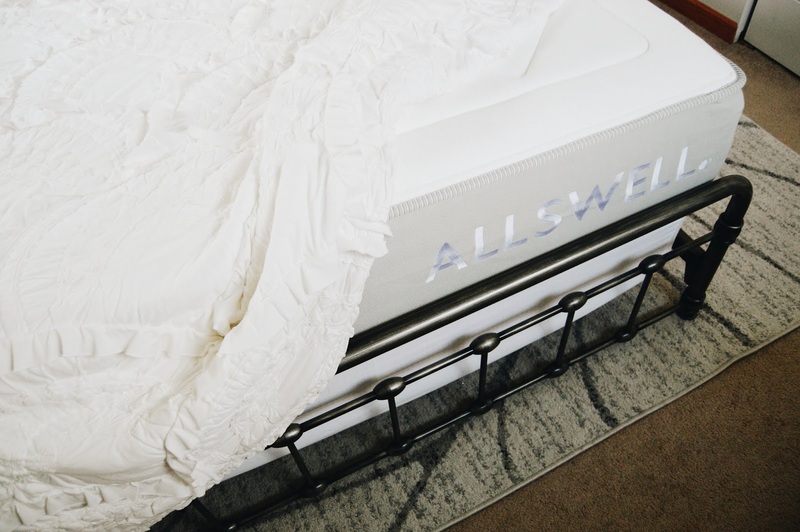 While Allswell offers two different mattress options, I knew the Luxe Classic Memory Foam Mattress would be perfect for us with it's medium feel, so that's the one we went with. Not too firm, not too plush, just perfect. When it arrived, I couldn't believe they fit that huge mattress into such a small box, it's pretty amazing how they can do that. A day or so after it arrived, we took it out of the box, used the little cutting tool they sent to cut the plastic open, stood back and watched the magic happen. Within minutes it had rose to normal mattress size and was soft and cozy. We let it rise for an entire 24 hours before sleeping on it and that first night... goodness... can you say heavenly. We woke up without an ache or pain in our entire bodies and had so much more energy than we normally do (talk about the power of good sleep). 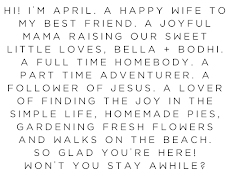 We've been sleeping in heavenly peace ever since that first night and every night slipping into bed is pure bliss. 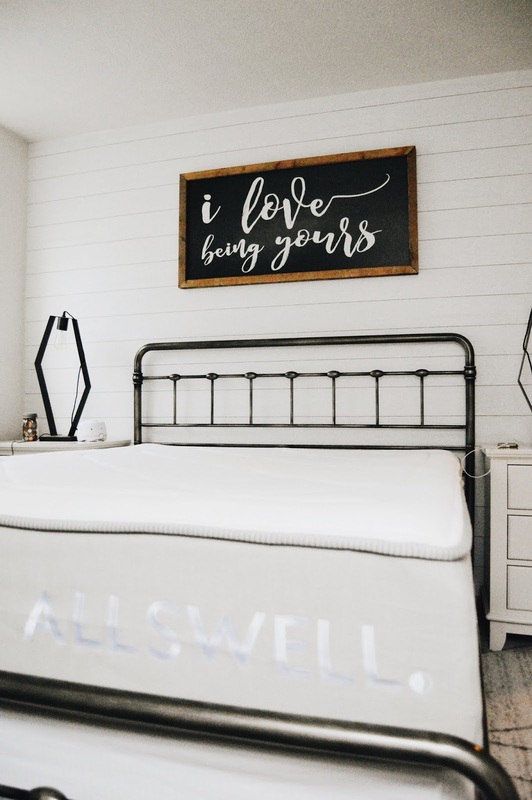 Allswell can even remove your old mattress during delivery of your amazing new Allswell mattress (not many bed in a box places can say they do that), and they offer a 100 night free trial and 10 year warranty! 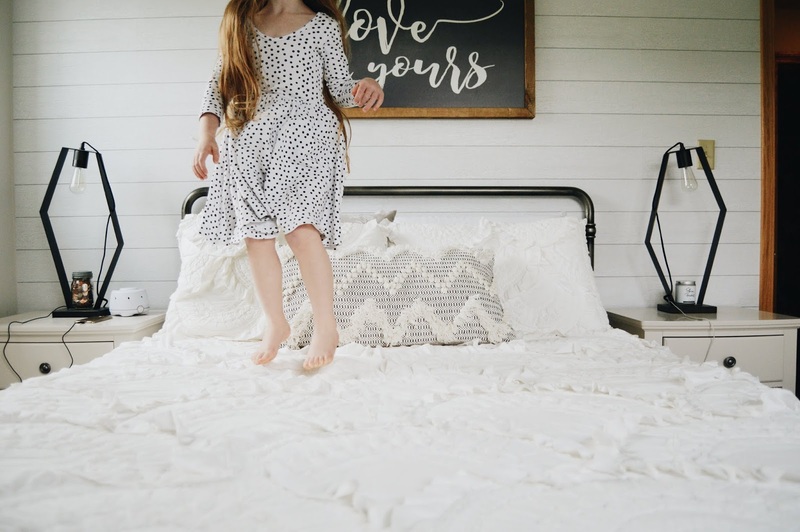 Not to mention they are a one stop shop for everything you need for your bed. 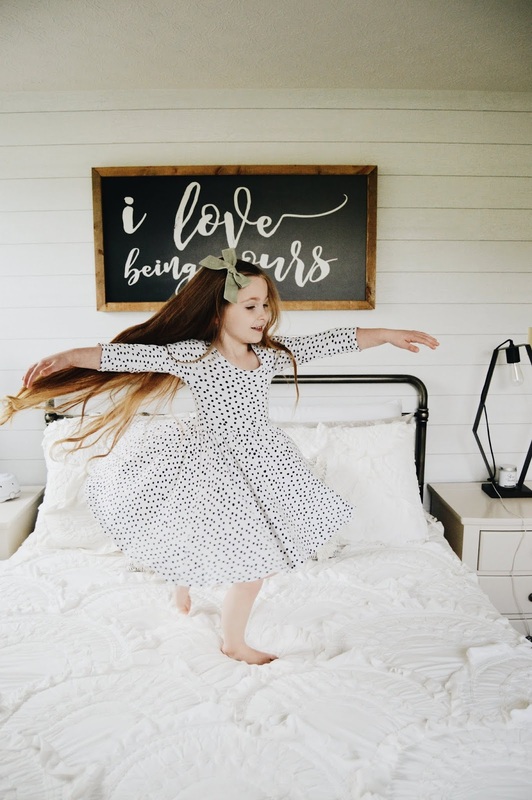 I mean, their bedding is gorgeous! So much cozy prettiness. We even have some of their standard bed pillows, and they are worth every single penny. 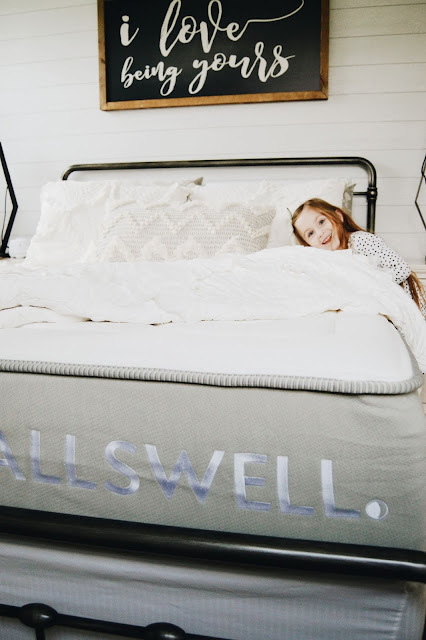 We had to share some of the Allswell goodness with Bella, and she love, love, loves her new pillows! She's slept so good since I switched her old pillows for these and so have we. Like laying your head on a cloud. 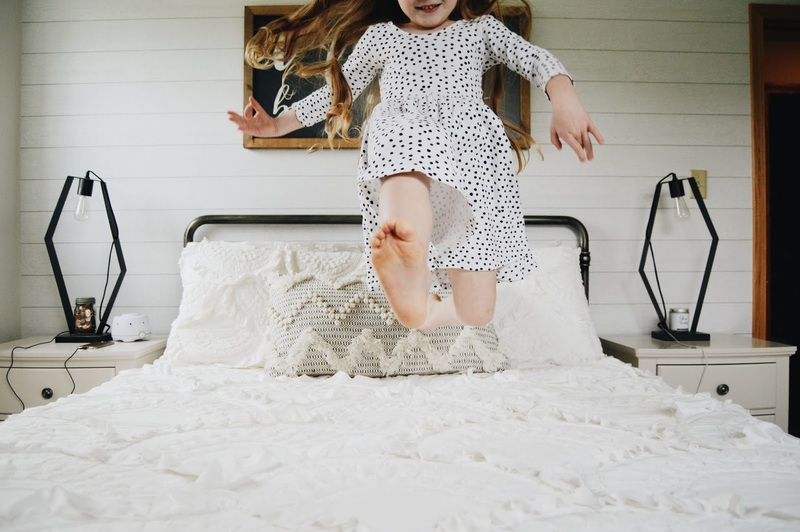 So are you ready for the best sleep of your life? 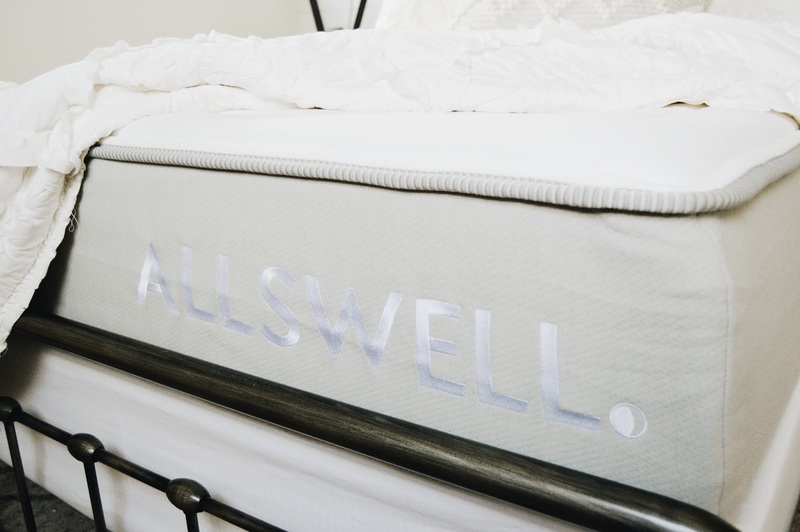 Find the Allswell Home website here, to start your journey to blissful slumber!